Find blogs that you like to follow and which have recipes that appeal to you. There are SO many out there, but obviously you know this since you’re on one! 🙂 Make sure to stay connected by joining their email list, following them on Instagram or Facebook and such so that you stay abreast of new recipes. Hint: sometimes following too many can get overwhelming; I personally like to limit those which I follow. Seek out cookbooks that you like. Some of my favorites include 100 Days of Real Food: On a Budget, The Grain-Free Family Table, Dr. Karen Lee’s Paleo Cooking with your Air Fryer, and Mark Bittman’s VB6: Eat Vegan Before 6. Next, you need to find a way to organize your meals. I personally love Plan to Eat, an online meal planning service which I’ve been using for years. With Plan to Eat, you save recipes with a handy bookmarklet. Basically you can be on any site, you click on the “Save recipe” a the top of your screen, and it imports the recipe into your cookbook. From there, you can plan out your meals – weeks, months or however far in advance that you like to plan. You can include snacks, breakfast, lunch or dinner, and it even creates your shopping list for you. BTW, you can try Plan to Eat for FREE for 30 days! Of course Pinterest is another place to find and pin meals that you like! You would rather someone pick/suggest meals for you to make. So you’re over it. You’re tired of trying to decide what to make, when to make it and wondering if you/your family will like it. No worries – there are lots of meal plans out there for you! 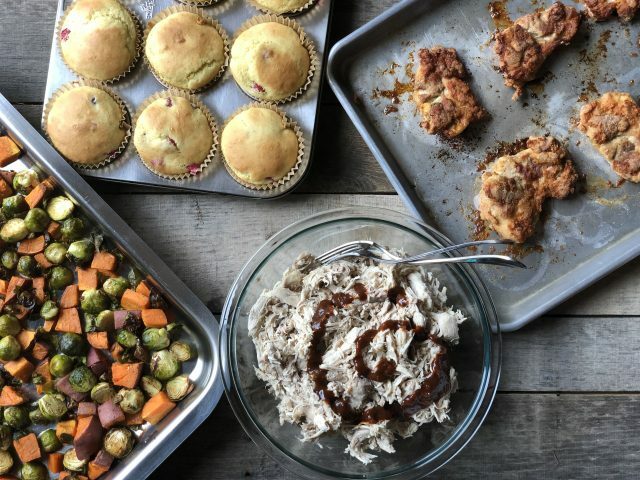 For Paleo, Gluten Free and/or Keto meal plans, Prep Dish is one of my favorites because not only do they specialize in those particular meal plans, but you spend 1 1/2 – 2 hours prepping on the day that you choose and then most of the meal is made. Each time you go to eat, it’s simple to throw a good, clean meal together. You can choose from Prep Dish’s one month, one year or premium plan to see what works best for you. I also like Once a Month Meals, who offers customized freezer meal plans. What is freezer cooking? You spend some time cooking up front and store foods in your freezer. Talk about real convenience food! 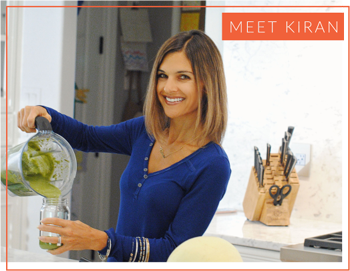 Plus, whether you are Keto, Paleo, gluten-free, dairy free, have allergies, want Instant Pot or WHATEVER – there is a menu for you! If this sounds like you, it’s a very unique and neat service! Whichever group you fall in, you’ll need to get on a schedule. Which day do you like to shop? Keep it consistent. 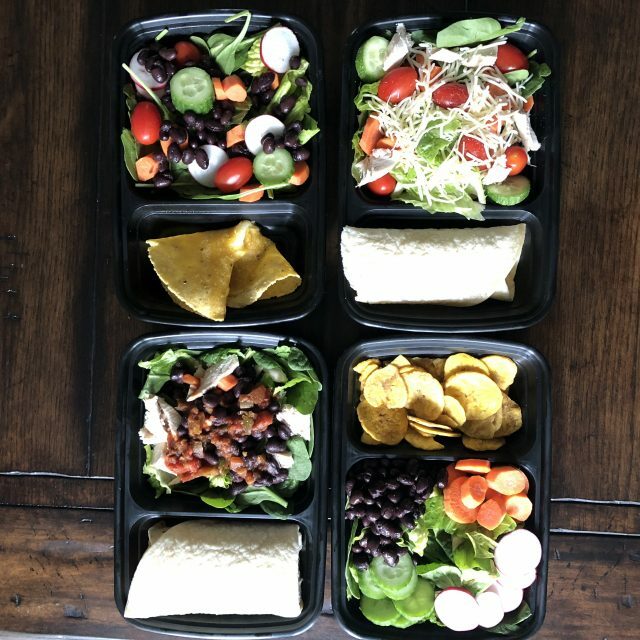 Eat foods up that you have before making little grocery runs; this will get you to be creative, to vary your foods that you eat and to not waste. I like to shop one day and clean veggies that same day. Truth be told, I have my kids clean the veggies. I prep the following day, and this always happens on the weekend so that we have food ready for the week. You might like to knock it out all on one day; do works for you. Make sure you have plenty of solid storage containers like these Pyrex glass containers. They are easy to clean, not plastic and let you see what foods are within. Some weeks will be wonky. You’ll be traveling, have meals out, etc. Don’t beat yourself up, but get right back on track the following week. I do feel that the longer you stay consistent, the easier it is. Let me know if I missed any suggestions or if you have other advice in the comments below. Happy Meal Planning! That’s fabulous! Love the diagram, too! Thanks for all the recommendations! Great tips! 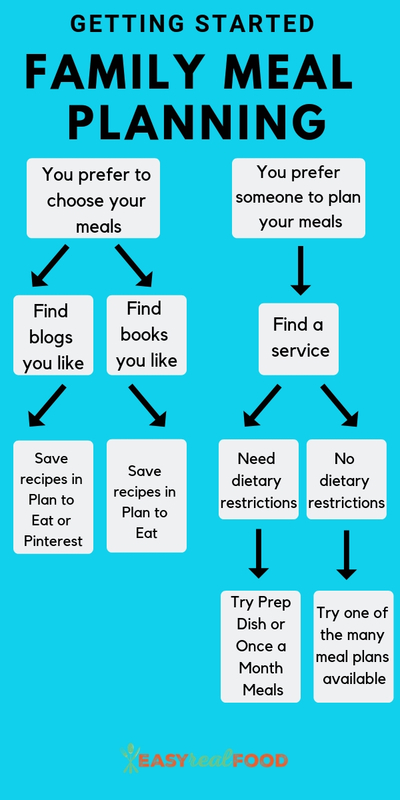 Planning really helps keep things in place so those new to real food don’t get tempted to eat out! I am more of a fly by the seat of my pants kind of a planner which I used to get discouraged about since I am not that kind of personality and it seems everyone is such a better meal planner than I am! But I have come to embrace the flow and framework kind of menu planning that I do because it works for us!